Seattle is a beautiful place to visit in the summer, which makes it a prime tourist destination during the summer months. We recommend that you book your accommodation for CNS 2018 as soon as possible before hotels fill up. 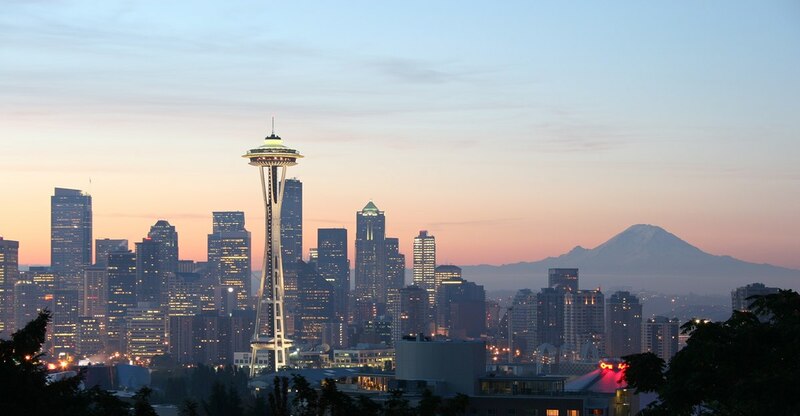 Seattle has an extremely large number of accommodation options, which you can search for via a booking website such as Booking.com. Many options are also available via AirBnB. For your convenience, we have listed recommended hotels that are within walking distance of the locations of the University of Washington (Main Meeting location) or the Allen Institute (Tutorials and Workshops location). We have also arranged budget housing in the dorms of the University of Washington Campus; details on that lodging is also below. When searching for the distance of a hotel to the meeting locations, you can use the following addresses. Locations are highlighted on map below. 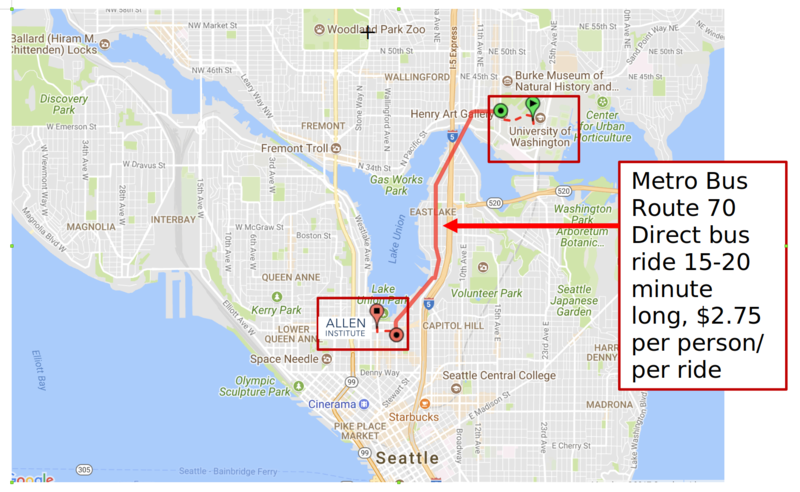 There is a direct bus line that runs between University of Washington and Allen Institute. The bus ride takes about 15 minutes and costs between $2.50-$3.50. You must have exact change; no change is made on the bus. You can plan your bus trip here with departure and arrival times. People can make the reservations directly with the following link. We recommend people make their dorm housing reservations prior to May 1st, 2017, in order to ensure availability.